Haldankar Customs are well known name in Mumbai for their custom modification of motorcycles. The firm was founded in the year 2012 by Tanmay Haldankar, basically a CAD designer. The Haldankar Customs’ team lead by Amit Salunke, Aditya Dombe and Ankita Pokhare. 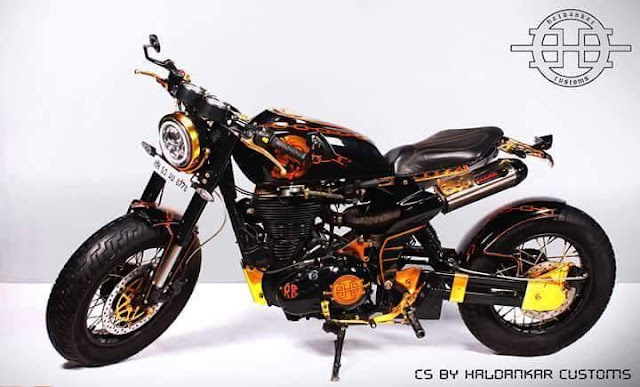 Most of their works are on Royal Enfield models. Haldankar team include of many mechanical engineers. They also used to shows their models in most of the motorcycle events in and around our country. It is cruiser built by haldankar customs by taking inspiration from Indian Springfield and Harley Davidson Heritage Classic. 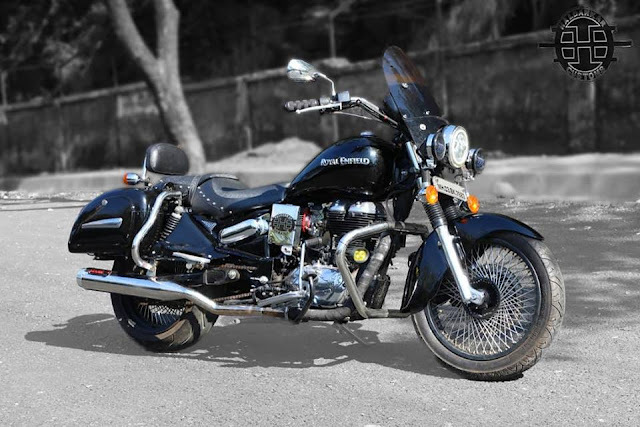 They have used the Royal Enfield Classic 500. 2.Front 19 inch rim and rear 18 inch rim with superb grip all land tires. 3.LED lights come projector for better visibility and SPOT fog lamps during rains and foggy atmosphere. 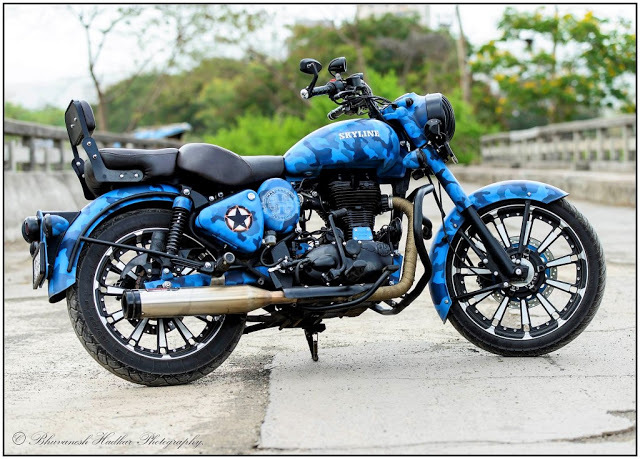 This bike is based on Royal Enfield Classic 350. Bike have given Matt Battle Green color which conveys the vintage looks. The Bike modifications will cost Rs. 95000/-. In this they have fitted custom curved gaurds, raise gear bearers and unique kind neckstem. 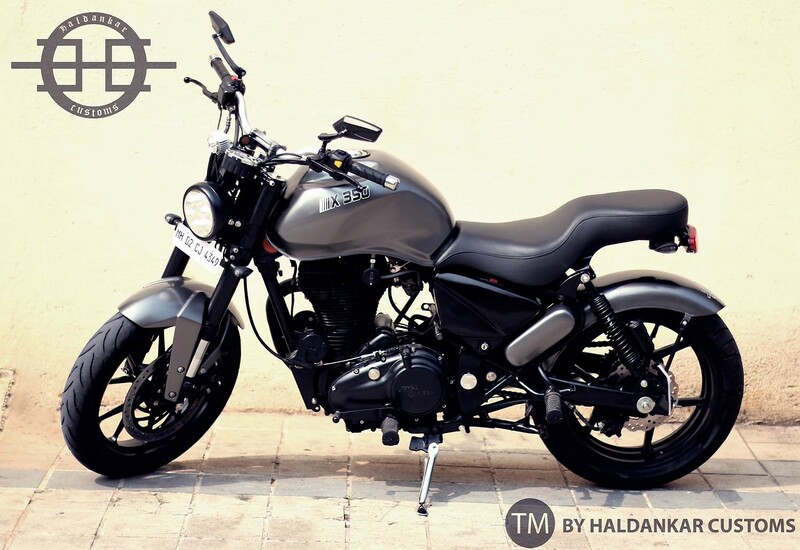 It is a cafe racer built out from Royal Enfield 500cc. They have done top quality paint job on it. 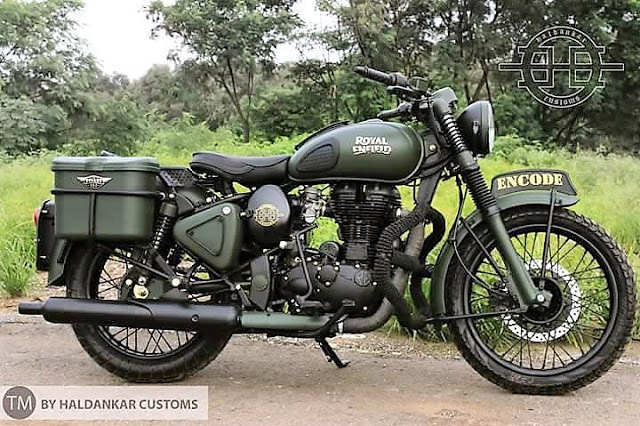 Stock Royal Enfield Chassis with no alteration and changes to original wheelbase. 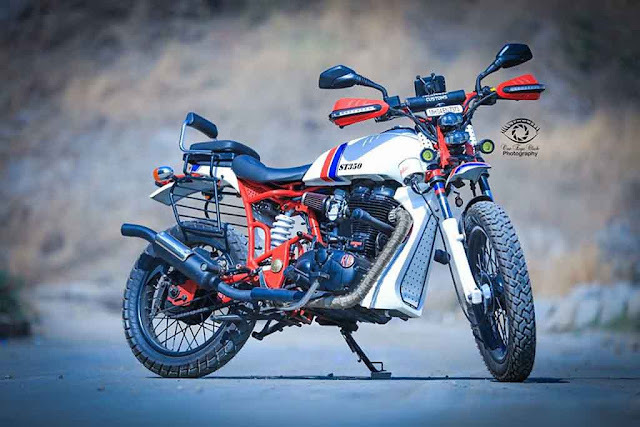 Royal Enfield Thunderbird modified into Street Fighter. Front Parts are replaced with more sporty oriented USD forks, Fiber Front fenders and LED Headlight. Headlight have 6 units LED lights and extra one near the handlebar. Rear fender is place just over the wheel. Rear disc brake are replaced with the petal type disc brake.